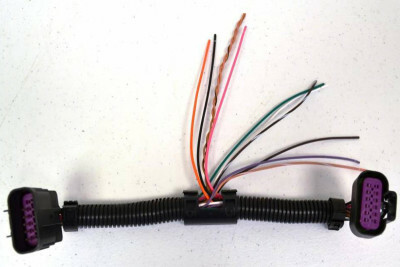 If you’re looking to do a build involving a Chevrolet Performance LS or LT drivetrain, and are dreading the cutting and splicing of your wiring harnesses, fret no more – Pace Performance has a solution. This LS & LT engine control pass-through harness provides you with flying leads for all wires within the harness, which comes in handy when using the Chevrolet Performance transmission controller in conjunction with the LS engine controller. You will have access to CAN leads, MIL/CEL (check engine light), vehicle speed, MAP signal, Oil pressure signal, Throttle position signal, 12v battery, 12v switched, and ground. The best part is that you won’t have to cut and splice the wires of the engine or transmission harness. So, thanks to Pace Performance, LS and LT swaps just got a little bit easier. Next story Presumed 2018 Chevrolet Camaro Z/28 Is Naturally Aspirated, But With What Engine?